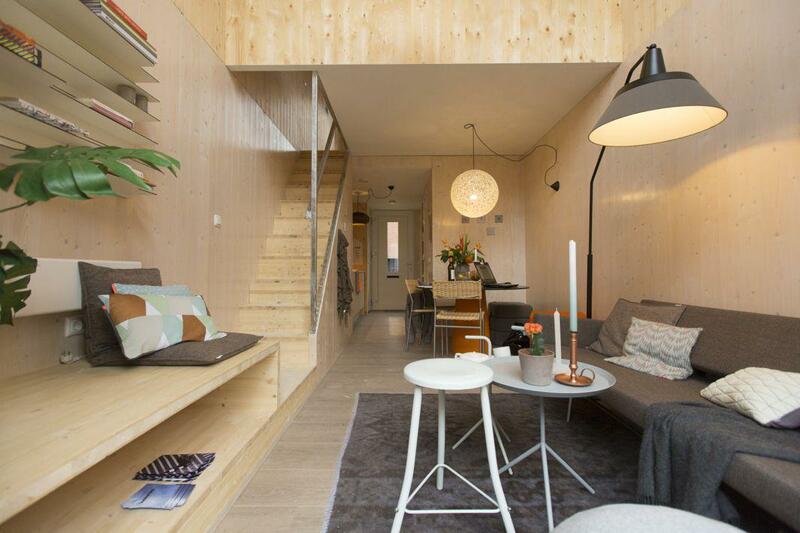 Heijmans One are movable rentals for young, single-person households. 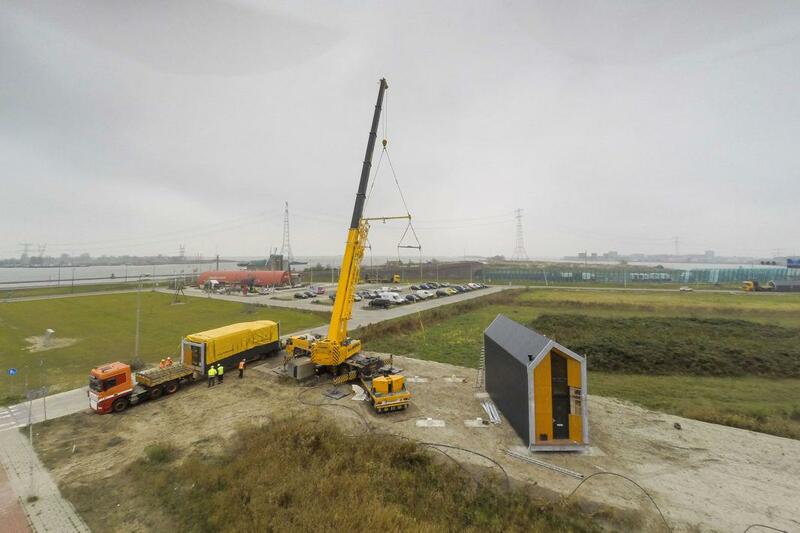 The first two Heijmans One houses went up on a vacant lot in Amsterdam last month. To battle a tight housing market in Amsterdam that is hard on an ever-increasing number of single renters, Dutch building company Heijmans (which also built this dreamy Starry Night–inspired bike path in the Netherlands) has come up with a clever idea: planting prefab pop-up rental houses on vacant city lots that offer singles design-friendly, affordable, quality temporary housing in urban centers. 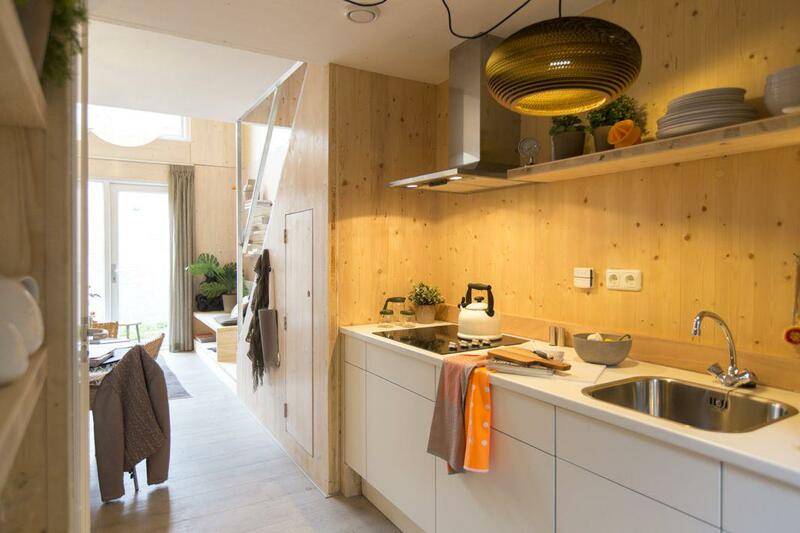 These movable dwellings are designed to rent to young, single-person households for a reasonable 700 euros ($788) per month as temporary residences located on vacant lots that are in redevelopment limbo and otherwise eyesores on urban landscapes. The prefabricated houses can be installed on-site in 24 hours. Each two-story house is roughly 484 square feet and is equipped with a kitchen, bathroom, living room, and loft bedroom. They are designed to be airy and light, with high vaulted ceilings, big windows, recycled wood facades, and outdoor terraces. 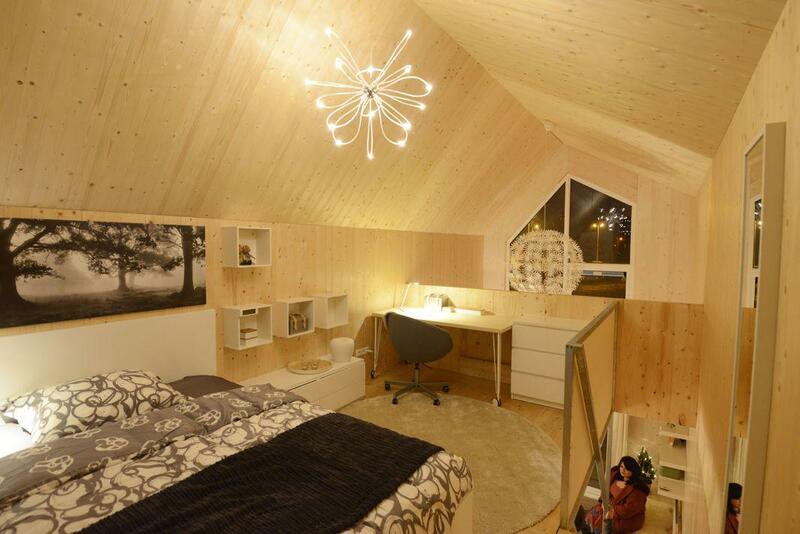 A view of the upper floor bedroom. Arjan Hofmann of Heijmans told me in an email that the project was inspired by young professionals in the Netherlands who make too much to qualify for subsidized housing but can’t afford high city rents and aren’t yet able to buy, as well as a way to spruce up vacant urban areas. He said that Heijmans may expand the project to other renters, such as middle-aged and older people who live alone, those seeking short-term housing during renovations, or expatriates on temporary assignments. 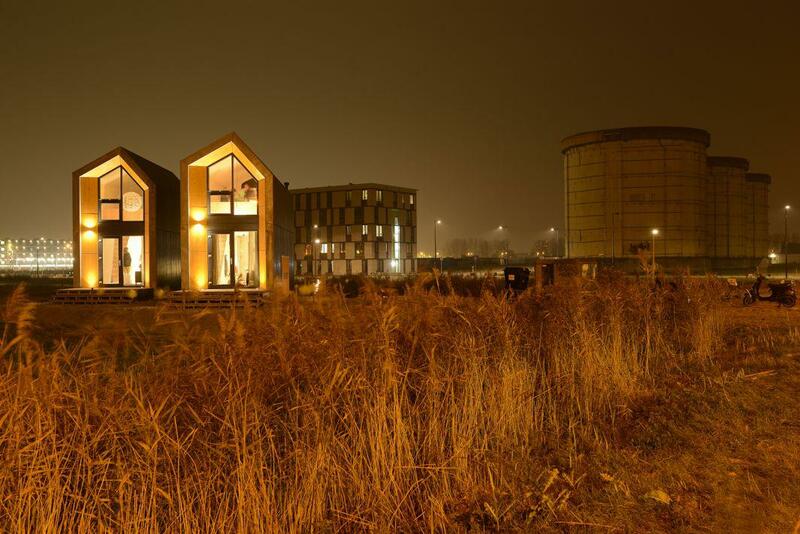 The houses are prefabricated and can be installed on-site in 24 hours and easily moved. Hofmann says that the average length of a lease is expected to be about five years, although that would depend on the landowners and city regulations. The houses have an expected lifespan of 25 to 30 years and are currently connected to existing infrastructure for water, sewage, and electricity, although Hofmann says they are experimenting with solar roof panels with an ultimate goal of making the houses self-supporting. A rendering showing the architecture and dimensions of the house, which is 45 square meters (484 square feet). A rendering of what a pop-up neighborhood of houses might look like.